Black vinyl, large hole, full color jacket. Includes download card for digital download of both tracks plus two bonus tracks, Hipsville 29BC and Open Up Your Door. Limited run of 500 released March 2, 2018. $7 + $3 shipping to the United States. Please make sure you have a current mailing address in PayPal. 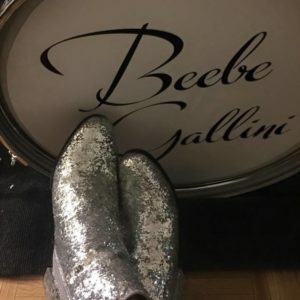 If you would like shipping overseas, please contact amy@beebegallini.com. 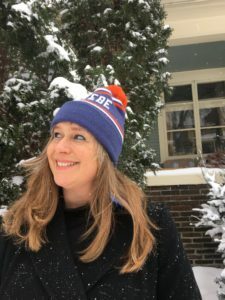 The winter combo: fresh tunes and a stylin' lid! 7" Single East Side Story b/w The River Flows plus a Beebe Gallini custom hat! $20 plus $3 shipping to the United States while supplies last! If you would like shipping overseas, please contact us at amy@beebegallini.com. Thanks! Get 'em while you can! 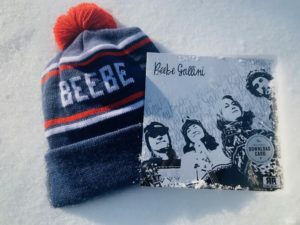 What better way to keep your head warm and your style fresh than a Beebe Gallini custom hat! Sized for men, women, boys and girls. Thick knit in acrylic yarns in blue, orange and white. $15 plus $3 shipping to the United States while supplies last! 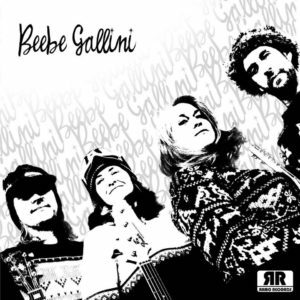 This 2016 recording features Miss Georgia Peach on vocals along with former Beebe Gallini members Lynn Zecca on bass, Sally Sweet on organ and Emily Ruiz on drums. Recorded By Matt Castore / St. Paul MN.